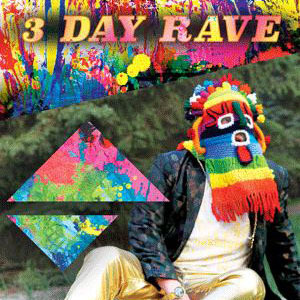 Now, going into this show, I already knew it might be something of a challenge to connect to for those uninitiated to the rave and music festival scene. Having been to several music festivals of the type that he was telling about, I thought I was prepared. But as Michael Moore began with his one man show, I realized that I was in for a trip I didn’t want to be on. Moore played many different characters, including himself, to tell a true story of his life of partying and his disdain for the mundane life adult-ier adults seemed to expect of him. When he was playing himself, he was very realistic, too much so even. I found myself questioning if he was actually high for the performance. It is possible that it was just his dancing that left him so out of breath, but sometimes he couldn’t even get the words out. His pupils did seem massive and his feet were constantly shuffling in a way that detracted from his story. Either way, he played himself with an eerie realism. Other characters, however, were overdone and stereotyped to the point of, at times, being a little insulting. Once Mike and his friends embarked on their journey, it was 45 more minutes of bickering. Well, that and some mediocre dance in a combination of break dancing and animation. The rave itself was supposed to have 7 stages but each stage seemed to be playing the same genre of music barring two songs, one that was dubstep and the other a funky song by the Freestylers called Push Up that happens to be one of my favourite songs. The constant arguing of Mike’s posse was a little too play-by-play and I just wanted to get out of there. Mike is exactly the kind of guy that I would never want to go partying with. Too high, too loud, and destroying and flailing at everything.